Upper Marlboro, MD – BLE Executive and Virtual Suites, leader in the alternative workspace industry in Prince George’s County, has announced a limited-time promotion. BLE will waive its usual setup fee – a savings of up to $150 – for new customers that sign up online for Virtual Office and Telephone Services. Visit www.blesuites.com to learn more. For as little as $125 month, all-inclusive, BLE customers receive a live professional receptionist answering and forwarding calls during business hours; a prestigious corporate mailing address; local business phone and fax numbers as well as voicemail to email and fax to email forwarding. That’s a mega discount shopping online. “No setup fee. No contract. No hidden fees,” said BLE President and CEO Bernadette Clay. “You have one chance to make a great impression. Make it count with a professional live receptionist to answer all your client calls. “This is a great opportunity for home-based businesses to upgrade to a corporate image, freeing up time and energy to do other things,” she said. Visit often. 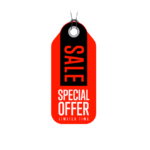 BLE will offer an online sale every month or other promotional products no minimum no setup. BLE has a range of flexible packages. If an on-site meeting is required, BLE has attractive office spaces, meeting rooms and state of the art conference facilities available by the hour, day or week. About BLE. BLE Executive & Virtual Office Suites LLC is a leading provider of affordable, flexible shared and virtual office solutions in Prince George’s County, Maryland. Founded in 2007, BLE is an owner-operated business dedicated to providing convenient, high-quality spaces for people to work and grow.